Simon Williams Comic Artist: SCARdiff! I am going to be a guest at this year's SCARdiff convention on Sunday, 19th October at the Cardiff Masonic Hall... this is my second year attending this convention, and it's going to be great to be there again! I thought I would do a variant print of my RAMPAGING HULK cover, which will debut exclusively at the event. 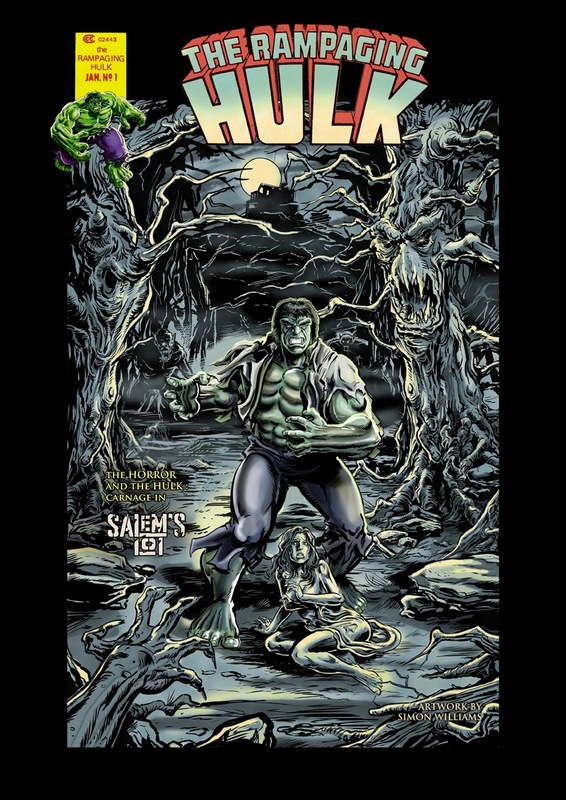 This variant features the television incarnation of the Hulk (as portrayed by Lou Ferrigno), and is based from an idea I had years ago, where I imagined Bill Bixby's David Banner turning up in a small town called Salem's Lot (yes, THAT Salem's Lot... specifically the version featured in the classic 1976 made-for-TV two-parter starring David Soul and James Mason). This image is based on that idea... hope you like it! "Mr. Barlow... don't make me angry. You wouldn't like me when I'm angry!"